Eva Dowd Productions International is very proud to share the music of Legendary Percussionist Pete Lockett on this site. Award winning musician Pete Lockett is one of the most versatile and prolific percussionists in the World. to Electronic. His boundless talents have earned him a reputation as one of the most wanted percussionists in the world. Pete has recorded and/or performed with Björk, Peter Gabriel,Robert Plant, Dido, Bill Bruford, Jeff Beck, David Torn, Vikku Vinayakram,Ustad Zakir Hussain, The Verve, Steve Smith, John Spencer Blues Explosion,Texas, Trans-Global Underground, Nelly Furtado, Phil Manzanera, David Arnold,Evelyn Glennie, Jon Hassell, Bickram Ghosh, Lee Scratch Perry, PrimalScream, Damien Rice, Jarvis Cocker, Craig Armstrong, Dave Weckl, Thomas Lang, Nicko McBrain (Iron Maiden), David Mcalmont, Natasha / Daniel Bedingfield, U Shrinivas, Ronan Keating, Nitin Sawhney, Afro Celt Sound System, Vanessa-Mae, Errol Brown, Rory Gallagher, Simon Phillips, Pet Shop Boys, Beth Orton, Hari Haran, Kodo, Amy Winehouse, Mel C, A R Rahman, Eumir Deodato, Julian Lloyd Webber, BBC Concert orchestra, Reshma, Sinead O'Conner and many more! Pete arranged and recorded all the ethnic percussion for five 007 ‘Bond’ films and many other Hollywood blockbusters, including Moulin Rouge. He has also recorded in the Indian film industry, including in Chennai with AR Rahman on the blockbuster, SIVAJI, (Rajini Kanth). Europe and India. He has released nearly twenty CD’s with various projects under his own name. Pete's book, ‘Indian rhythms for the drum set’ (Hudson) is the first book of its kind covering Indian rhythms on the instrument. It was in the top fine drum books 2009 in the USA and drum book of the year 2008 in Holland. 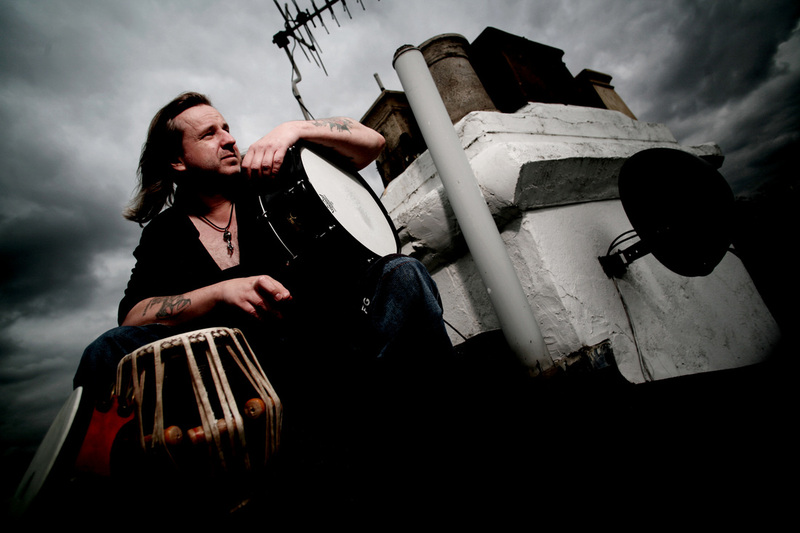 Pete was voted runner up best percussionist 2010, 2011 and 2013 in Modern Drummer and DRUM magazines in the USA and #1 BEST LIVE PERCUSSIONIST 2005 in a readers poll of Rhythm magazine. Pete's iDevices drum app, 'DrumJam' has been a best seller in the Apple store since its release in 2011.